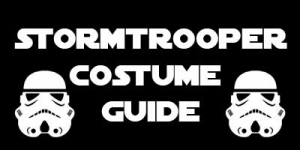 Our Stormtrooper Complete Armor Package is our most popular Star Wars costume, and we have created this handy guide which answers some of our most frequently asked questions. What are the differences between the three sizes of armor? 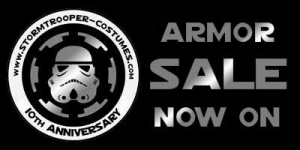 We are proud to offer Stormtrooper Armor in three sizes - Standard, Reduced and Extended. 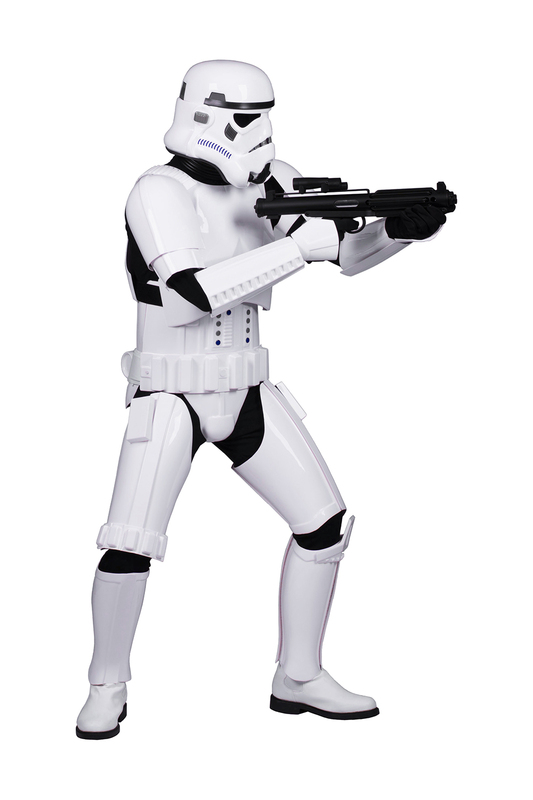 Standard Stormtrooper Costumes are suitable for troopers with a height of 5’9” to 6’4” (175cm to 193cm) and a regular build. 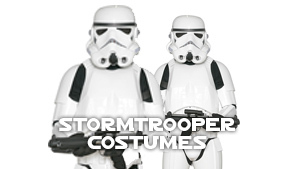 Reduced Stormtrooper Costumes are suitable for troopers from height 5’2” to 5’8” (158cm to 172cm) with shorter legs and arms. The inside leg measurements must not exceed 27" (69cm) and the inside arm measurements must not exceed 16" (41cm). The length of the thighs, calves, biceps, and forearms are shortened by one inch to allow normal mobility, but are the same width as a Standard Suit. 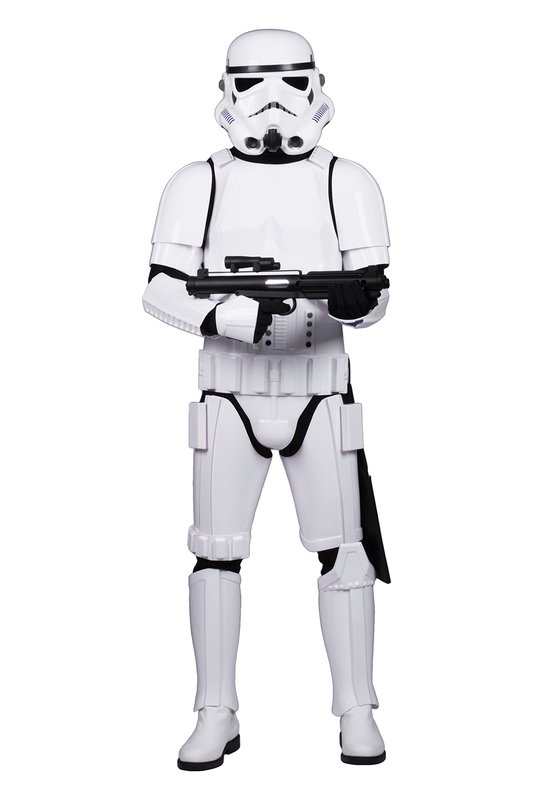 Extended Stormtrooper Costumes are suitable for troopers with a height of 5’9” to 6’4” (175cm to 193cm) and a muscular build - specifically having calf girth measurements up to 17.5 inches (45cm) and thigh girth measurements up to 25.5 inches (65cm). The thighs, calves and forearms are the same length as the standard size, but are extended by one inch in width to accomodate larger limbs. We also have a Reduced-Extended size suit, which is a combination of the Reduced and Extended sizes. 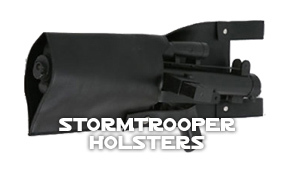 This suit is suitable for troopers from height 5’2” to 5’8” (158cm to 172cm), with calf girth measurements up to 17.5 inches (45cm) and thigh girth measurements up to 25.5 inches (65cm). The length of the thighs, calves, forearms, and biceps are reduced by one inch, and extended in width by one inch. What is the process when ordering the armor? You input your sizes in the form, and submit it to us. It is important to measure accurately, especially for Height, Inside Leg, Thigh Girth, and Calf Girth. Once we receive your sizes, we begin preparing and strapping your armor, and will contact you if we need to confirm any details. Armor generally takes 7 working days to prepare. 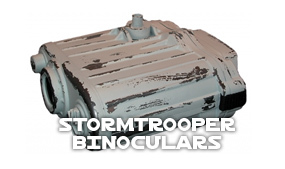 We send your Stormtrooper Costume on a secure, tracked postal service. 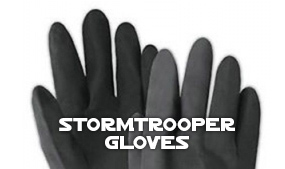 How do you ship Stormtrooper Armor? We ship all Stormtrooper Armor in a securely packaged, heavy-duty, carton with bubble wrap around each individual part for protection. You will receive a tracking email so you can track your costume and arrange to be available to sign for the package when it arrives. What can I expect when I open the parcel? Included in your carton will be a full checklist of contents and kitting-up instructions. We recommend reading all of the instructions carefully before unpacking your suit and kitting up. How should I kit up for the first time? After reading the instructions, begin taking out the armor parts from the carton, and remove the bubble wrap. Do not remove the transparent protective film from the armor, until you are happy with the fit. Be confident that you have made a great choice and be assured we are here to help now and in the future. We provide full customer service support by phone or email for any questions you may have at any time.